JOHANNESBURG, South-Africa, October 9, 2013/African Press Organization (APO)/ -- The showcase event for the African power industry opens in Johannesburg today (9 October), bringing together the largest ever gathering of energy professionals and decision makers from across the region's booming electricity business. Taking place from 9-11 October at the Sandton Convention Centre, Africa Electricity Exhibition and Conference (http://www.africaelectricity.com) will serve as a comprehensive showcase for the power generation, transmission and distribution, lighting, new and renewable energy, nuclear energy and water sectors. 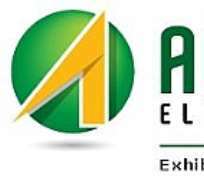 The third edition of Africa Electricity features scores of exhibitors from the African countries and around the world who will be out in full force showcasing their latest products and services to potential decision makers in the region. Leading the way is Thailand-based manufacturers of energy transformers, QTC Energy Public Limited Company who will showcase their new range of transformers at Africa Electricity, designed especially for the renewable power plant and mining industry. Chinese Lighting conglomerate, Opple Lighting will promote their new range of LED lights while UK-based designers and manufacturers of medium voltage metal enclosed capacitor banks and air cored inductors, Systems Power Limited, will showcase their new range of inductors at the three-day event. Mark Smith, Director of Systems Power Limited, said: “Based on our past research and development in metal enclosed capacitor banks, we are of firm belief that our product at this point is particularly strong and will be widely accepted in the African market. “Participating in Africa Electricity is a good opportunity for Systems Power Limited to expand our knowledge and increase our client base within the region,” he added. The 2013 edition of Africa Electricity will run alongside the Africa Electricity Conference, providing a world-class dynamic forum for discussion and debate around the hottest topics and biggest challenges facing the industry and business today. The dedicated conference will feature a notable line-up of experts including Nelisiwe Veronica Barbara Magubane, Director-General of Energy from the Department of Energy, Ansgar Kiene, Director Africa Office, World Future Council Foundation and Secretary General, African Renewable Energy Alliance, and Chris Bredenhann, Director and Head of Southern African Energy, Pricewaterhouse Coopers (PwC). They will be joined by experts from the South African Sugar Association, South African Solar Thermal Electricity Association, South African Department of Trade and Industry and the South African Bureau of Standards who will address delegates about best practice in developing a national energy efficiency strategy for South Africa. “Africa Electricity has established itself as the ideal place for energy professionals to network, learn, source solutions and do business in southern Africa, said Anita Mathews, Director of Informa Energy Group, organisers of Africa Electricity. Now in its third year, Africa electricity is partnered with Power Nigeria, Middle East Electricity and Solar Middle East. For more information about the event or to be involved as a visitor please visit, http://www.africaelectricity.com. Distributed by APO (African Press Organization) on behalf of Informa plc.